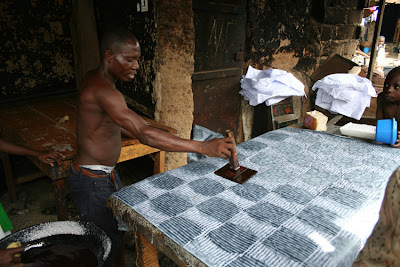 He stamps the cloth with the wooden block, which he dunks in hot wax. After the whole sheet has been printed, the cloth is washed in a sulphur solution. The workers don't wear protective gear, which must surely risk damage to the lungs across time.